Training: Guildford School Of Acting graduating in 2016. Theatre includes: Martha in Blondel (Union Theatre); Fatimah in Everybody’s Talking About Jamie (Sheffield Crucible) and Horse in The Wind In The Willows (UK Tour). Workshops include: Jill in Reanimator – a Zombie Musical (Adam Lenson). 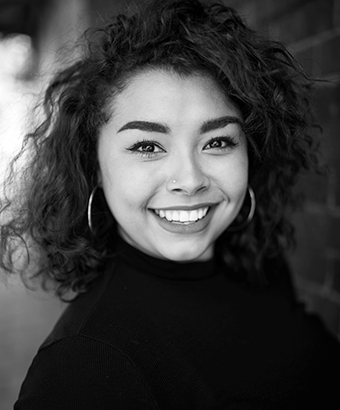 Courtney was thrilled to be making her West End debut with Everybody’s Talking About Jamie and has been with the show for more than a year now. She would love to thank her mum for all the support over the years.